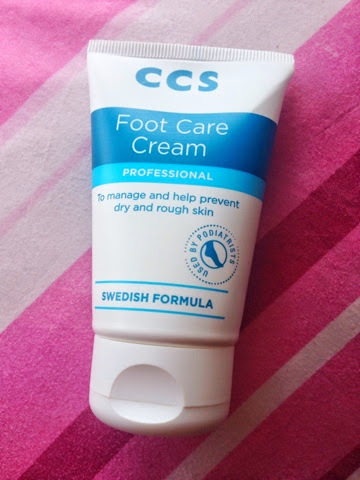 Last month I was sent CCS Foot Care Cream* to try out and review. When I used to work for Boots and in their Pharmacy department, I would always see this product displayed on the shelves and I must admit it was a popular product. 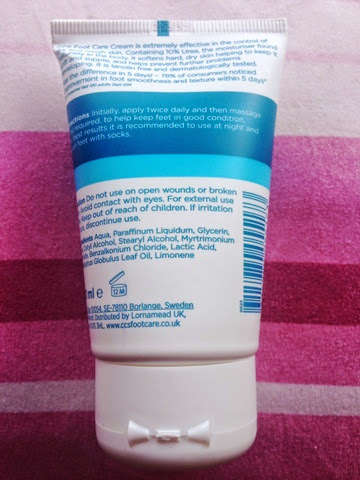 I have tried Boots own brand foot creams so I was pretty excited to say the least to try this! CCS Foot Cream* claims to be extremely effective for dry and rough skin. It also claims that you will be able to see results in 5 days based on their research and studies. 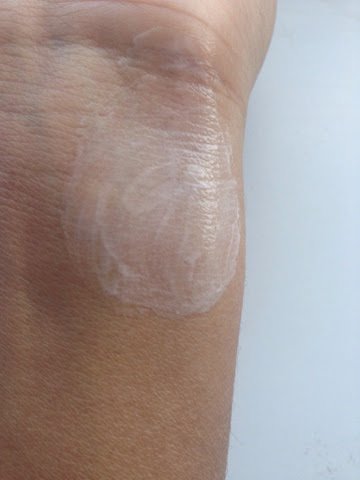 It is lanolin free and contains 10% Urea which is a moisturiser which is naturally found in the body. It is recommended to apply twice daily and then massage in the product. I have used this for the past 2 weeks straight and now I can say 'goodbye' to my rough skin! I didn't notice result in 5 days however I definitely did notice results after a week of regular use. My feets feel a lot softer, smoother and my heels have not cracked! A little bit of product goes a long way! I have the 50ml version and there's still enough products to last me another a few weeks! The smell is pretty unusual for a foot cream, to me it smells like a light version of Visks! I'm not sure if that's just my sense! I don't mind that as it's nothing that I'm not used too but I can see some people not liking it. 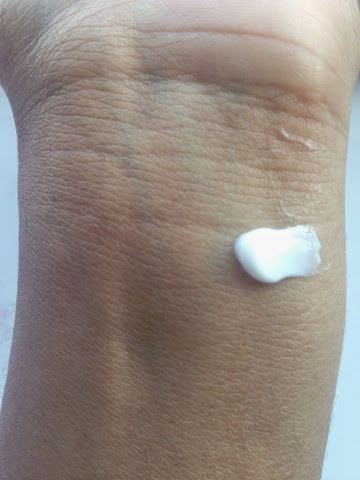 It has a non greasy texture and you can feel the softness in your skin as soon as you massage the product in. I used this every night for the first week and then I put a sock on to help keep the moisture inside, then for the next week and even now I am using this every time I come out of the shower. The only thing which I did not like about this product is that it makes my feet sweaty. I know I said it's not a greasy product but for some reason my feets start sweating after I apply the product and massage it into my skin. I am not keen on sweaty feets! And my feets never sweat so this was a bit unusual to me. However I am willing to compromise for the results! Would I recommend this? Now if you are looking for a specific foot cream yes I would recommend this! It does everything it claims except it took a bit longer to show results for me. If you stick with it and apply as recommended you will definitely see results! It is definitely an essential for this summer as I am sure we all want amazing feets! My mum has even gone out and purchased a tube for herself after using mine a few times! You can purchase this here at Boots.